Swaziland’s Media Institute of Southern Africa (MISA-Swaziland), in partnership with human rights NGO COSPE, is running three training sessions for journalists in February on women’s rights. 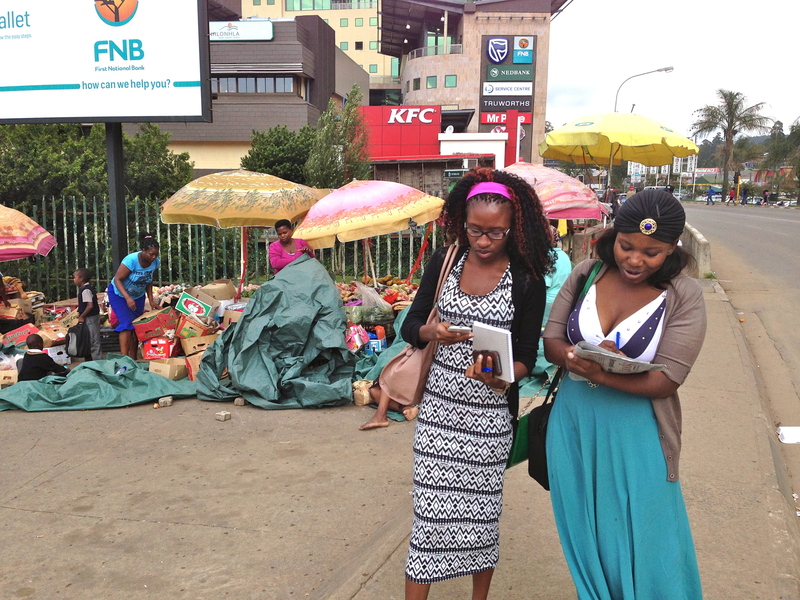 The first session was held yesterday in Mbabane, the capital. Six journalists attended the practical training session, where they are encouraged to assert their journalistic independence while searching for real stories in the real world. 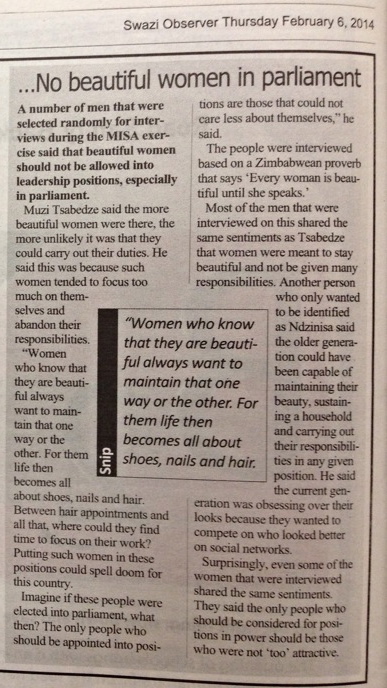 “The session started off with morning discussions among the media representatives on women’s issues, they [then] participated in an interaction with the general public on the subject”, reported one of the participating journalists Noxolo Nkabinde, writing in today’s Swazi Observer. “During the discussion, women’s rights in general were discussed and how they ended up being infringed. This includes abusing women sexually, emotionally, physically and otherwise. 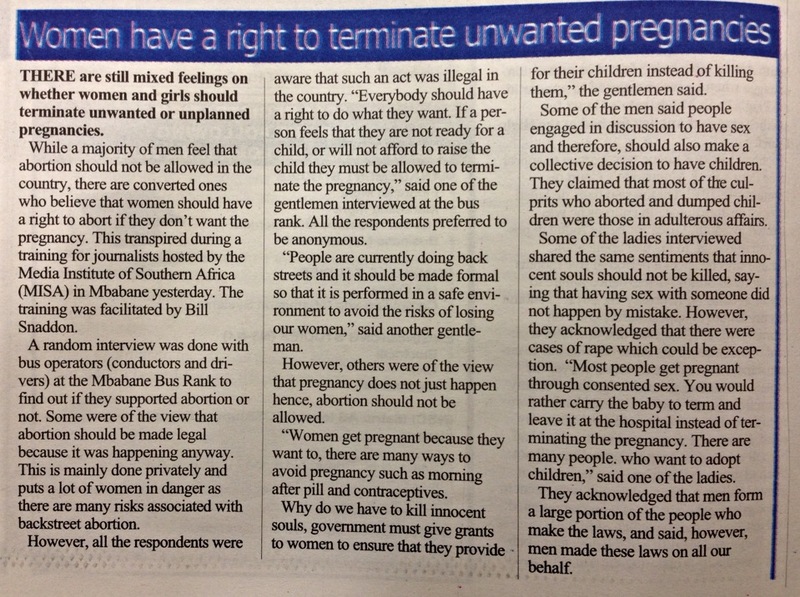 It was raised that most women in the country were not even aware of what rights they had,” said Nkabinde. Nkabinde’s colleague at the Swazi Observer, community news reporter Winile Mavuso, also wrote an article that stemmed from the MISA-COSPE training session. 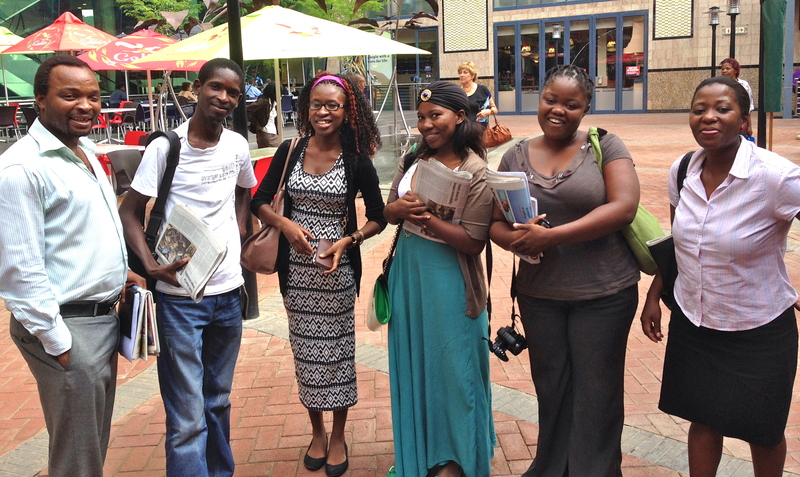 Mavuso shone a light on the “mixed feelings” that many people hold toward abortion. MISA and COSPE are running two more trainings in February, one in the commercial capital Manzini, and the other in the smaller rural town of Sitiki. Tags: africa, gender equality, human rights, journalism, media, MISA, reporting, swaziland, training, women's rights. Bookmark the permalink.